Roaming within European Union (EU AND EEA) Countries has changed, meaning selected bundles now come with an EU AND EEA Countries roaming allowance and Pay As You Go rates will be charged at no extra cost. The countries included in this are listed below and will be referred to as ‘EU AND EEA Countries’. Some of our bundles now come with an EU AND EEA Countries roaming allowance. To see which of our bundles include an EU AND EEA Countries roaming allowance, please click here. Receiving calls and texts while roaming within EU AND EEA Countries will be free of charge. 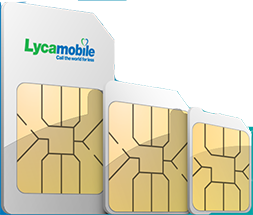 Selected Lycamobile prepaid bundles now include an EU AND EEA Countries roaming allowance. You can find details of our prepaid bundles and their roaming allowances here. 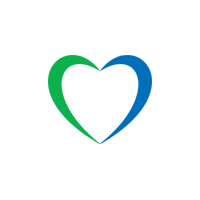 Lycamobile prepaid bundles that include an EU AND EEA Countries roaming allowance are marked “EU Roaming” and bear the EU AND EEA emblem as below. These EU AND EEA Countries roaming bundles allow you to use calls, texts and a capped amount of data (specified in the bundle information) when roaming within EU AND EEA Countries as if you were using your bundle at home. However, these selected bundles are subject to our Fair Usage Policy described below. IMPORTANT: Some of our prepaid bundles do not include an EU AND EEA Countries roaming allowance. Before purchasing a bundle, please check that it includes all the services you want to use. You can also use Pay As You Go credit for roaming within EU AND EEA Countries. When roaming within EU AND EEA Countries, calls, texts and data will be charged at our Standard National Rates. For call rates to non-EU AND EEA Countries when roaming within EU AND EEA Countries, please click here. Our roaming services are intended for Lycamobile customers who visit EU AND EEA Countries for short periods, for example a holiday or short trip. Our roaming Fair Usage Policy is designed to prevent misuse of our EU AND EEA Countries roaming products and service. To use our EU AND EEA Countries roaming services you must first activate your SIM in your home country (and have purchased a Lycamobile product that includes EU AND EEA Countries roaming services). If we notice that over any 4-month period you have spent more time abroad in the EEA than at home, and have used more than 50% of your mobile services for EEA roaming, we will send you a text message to remind you to comply with our EEA roaming Fair Usage Policy. If you have a prepaid bundle that includes EU AND EEA Countries roaming services, then a different data limit may apply when you roam within EU AND EEA Countries. Please check here for details of the data limit. Your calls to other Lycamobile numbers are free at home (minimum top-up applies), but when you roam within EU AND EEA Countries they will be charged (or deducted from your bundle allowance) as standard calls. If we identify abusive usage of our roaming services due to organised resale or our SIM cards to persons who normally live outside of the Denmark then we may take immediate proportionate measures to stop this, which could include suspension of services. We will send a text message to any such affected SIM cards.